With its sweeping stretches of highway, concrete tangle of city streets, and the twists and turns of the roads less travelled, the Lower Mainland is a driver's playground. Why not enjoy everything this incredible area has to offer from behind the wheel of a truly exceptional vehicle? The Volkswagen Jetta has got everything you need to take on your everyday adventures in style. Breathtaking performance, sleek good looks, and refined handling all combine to put the "whoa" back into your commute. 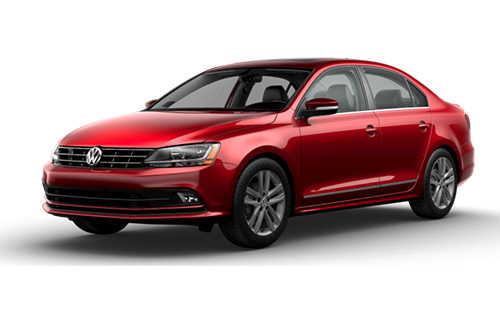 If you're looking for a Volkswagen Jetta in Surrey, make Gold Key Auto Group your first and only stop! At Gold Key, we're proud to offer an impressive inventory of new and used Jetta models, each equipped with the cool features and convenient technology that make every drive memorable. Our expert sales team will go through your list of must-haves, and match you with the Volkswagen Jetta that's got it all - and more. Not only that, but you'll also find great financing options and top-notch automotive service experts. Ready to roll? Stop by our convenient location at 19545 Langley Bypass in Surrey, BC, or give us a call at 888-903-7414. The open road is waiting for you! From sales to service, our staff goes above and beyond for your next Volkswagen Jetta. Visit us in Surrey today! Whoever said that beauty is only skin-deep obviously hasn't looked into the interior of the Volkswagen Jetta. Premium materials throughout the cabin exude everyday luxury, while available ambient lighting helps set the perfect mood for every trip. Want even more? Heated front seats help keep the chill of a cooler morning at bay, while available ventilated seating eliminates sticky situations. And if you've gotten into a great driving groove, available memory seats help you restore your perfect position with the touch of a button. Don't just turn heads. When you pull up in the newest Volkswagen Jetta, you'll cause people to stop and stare! The Jetta is sleek and chic from bumper to bumper, with a bold and sporty road presence that speaks to its capability out on the streets. Blazingly bright LED headlights and tail lights allow you to light up the night, while the available Rail 2 Rail sunroof brings a panoramic swath of sunshine in. Brains, brawn, and beauty? You can have it all in the Volkswagen Jetta. Thanks to intelligent technology that's built right in, the Volkswagen Jetta keeps you connected to the things that matter most, no matter where your road takes you. Smartphone-integrated App-Connect comes standard on all Jetta models, which means your apps, maps, and music are available right at your fingertips. Voice command lets you keep your hands at 10 and 2, and your eyes on the road. All you have to do is customize the perfect playlist for every trip, and drive to the beat! They say that hindsight is 20/20. In the Volkswagen Jetta, that's absolutely true, thanks to the available Blind Spot Detection system that alerts you to other vehicles in your blind spot. Available Lane Assist helps ensure you're always on the straight and narrow by gently correcting steering if you start to drift into another lane. Want to make night time driving even easier? Available Light Assist automatically turns the high beams on and off, so you've always got the right amount of light for the driving conditions. Enjoy smart safety when you choose the Volkswagen Jetta! Good communication each step of the service. The service department took initiative to take care of two recalls when the vehicle was in for a minor problem. Could not be happier with our experience at Gold Key Volkswagen thanks to Richi. Incredibly helpful and patient. We are in love with our fancy ride. Thanks again for everything! I am in love with my fancy new ride. Drives like a dream! Every member of your team at Goldkey Langley had exceptional customer service. Buying a car can be nerve racking and overwhelming at times. Your team helped me have confidence in the entire process. Thanks again for everything! See you on the road! Drive safely everyone!